Should I avoid all Realtors when I sell my home For Sale By Owner in Brooklyn? Absolutely not. This is an extremely foolish idea if you wish to successfully sell your home For Sale By Owner in Brooklyn. 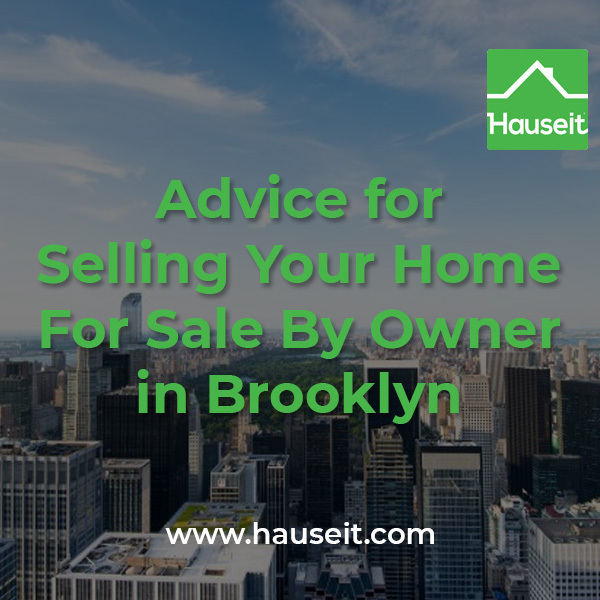 If you’re looking to sell your home For Sale By Owner in Brooklyn then you’ll need to make sure you have an understanding of how the real estate market works in Brooklyn and NYC. Why? Because 90% of all home sales in NYC are transacted between two agents representing the buyer and the seller. That means 90% of home buyers are represented by real estate agents. Yet what most For Sale By Owner in Brooklyn sellers do the moment they get that bright idea to not pay the standard 6% real estate commission in NYC? They post on Zillow or Craigslist and write “NO BROKERS” or “PRINCIPALS ONLY” at the top of their listing description in all capital letters as if real agents with real buyers didn’t avoid their For Sale By Owner in Brooklyn listing already. That’s right you do. How many of them are from agents looking to meet you in person with their “buyer?” Let us guess, you’re getting at least a dozen calls a day from brokers. Please understand this. 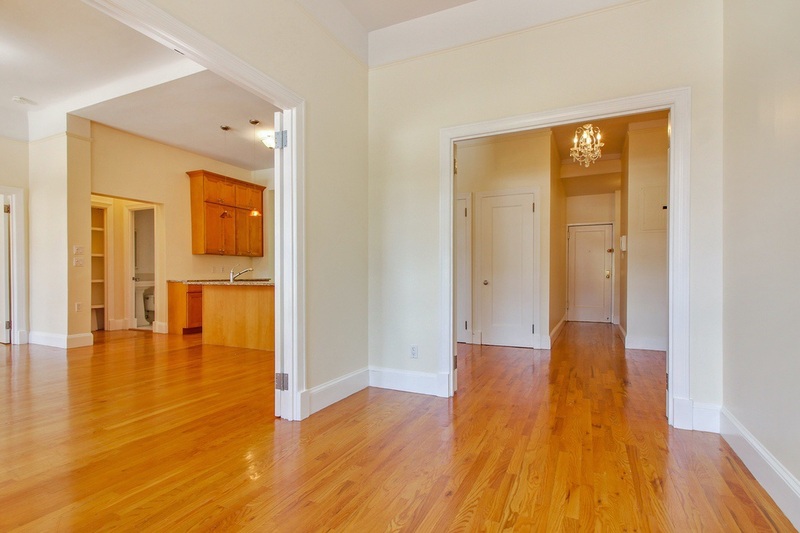 For Sale By Owner in Brooklyn sellers are the most common source of seller leads for real estate agents in Brooklyn. Yes you’ll get over 200 inquiries from real estate agents, but none of them will be a seasoned broker with a real buyer who’s actually interested in purchasing your property. In fact, most of these agent inquiries will be from junior salespeople who are freshly licensed and who have been tasked by their managers to make trollish cold calls to For Sale By Owner in Brooklyn home sellers. What will these agent inquiries really be about? Unfortunately, because you are selling through a traditional FSBO listing, the agent will show up unaccompanied by any buyers purely to solicit you to pay them 6% commission to sell your home. Sometimes, the actual agent may not even show up and instead send an even more junior agent to come solicit you. What’s worse, expect your open house to be packed with real estate agents looking to make a scene. Be especially careful if you’ve over-priced your property and you have an empty open house. At an empty open house you’ll be even more exposed to the solicitation attempts of the real estate agents who will certainly be there to harass you. If you insist on pursuing a traditional For Sale By Owner in Brooklyn sale, just make sure your open house is guarded by several large, male friends to forcibly throw out the occasional real estate agent by force when they refuse to leave. A home owner selling through a traditional agent will not have the luxury of underpricing their apartment. Why? Because of the strict language in a typical Exclusive Right To Sell listing agreement that their traditional agent will force them to sign. Standard listing agreements stipulate that a home seller will owe 6% in commission as long as a “ready, willing and able” buyer is found at their agreed upon listing price. That means that even if the home seller decides to back out and not sell, they’d still owe 6% in commission! Now you understand why traditional brokers love to harp on about how important it is to price your property correctly. If it’s priced correctly and they find you a buyer, they can rest assured on getting paid regardless if you actually want to sell or not! Because of this, most home sellers do not have the luxury of underpricing their apartment. After all, who wants to run the risk of being forced to sell at a lower price and paying a commission even if they don’t? 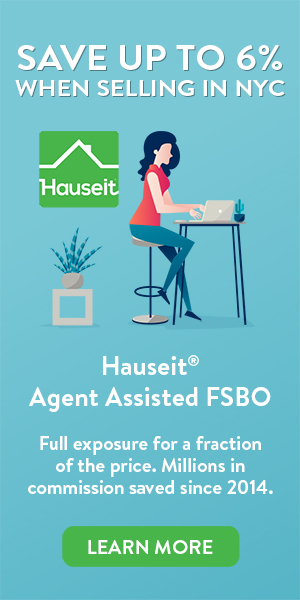 As an Agent Assisted FSBO home seller, you will enjoy the ability to price your property however you wish without the fear of being forced to pay anyone a commission. You can choose to sell to a buyer represented by an agent, you can choose to sell to an unrepresented buyer and pay zero commission whatsoever, or you can choose not to sell at all without any penalty whatsoever. As a result, we highly recommend our Agent Assisted FSBO home sellers to underprice their properties relative to their peers. If you are able to create the perception that your property is a bargain, you will receive a lot more “saves” on StreetEasy, garner a lot more interest and time investment and people will clamor to see your apartment. This is the best way to initiate a bidding war on your property. We do want to caution our Agent Assisted FSBO home sellers against artificially pricing their properties too low. You do not want to give people the impression that you are gaming them and having a reserve price you’d be willing to sell at much higher than the listing price. As a For Sale By Owner seller in Brooklyn the last thing you want to do is be frugal when it comes to home photography. 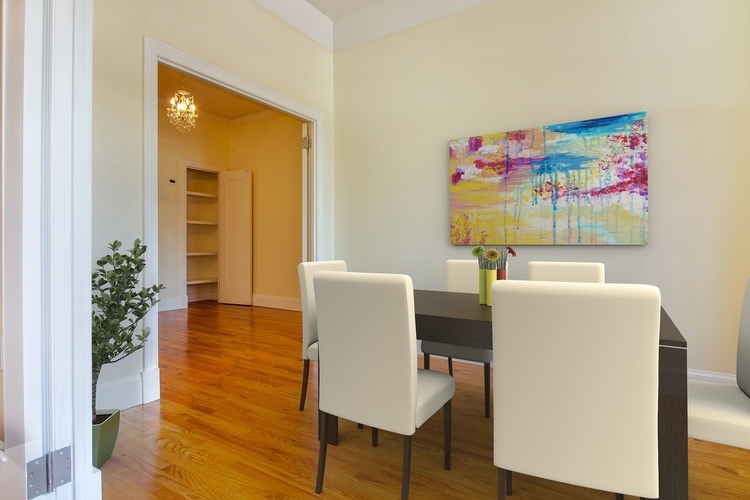 Photographs will be the first thing most buyers see and grainy, low quality photographs taken from your cell phone camera will only turn away buyers to skip to the next listing. High quality, professional real estate photography is the smallest and simplest investment you can make to spruce up your listing. Keep in mind that the 96% of professionally marketed for sale by agent listings in NYC which you’ll be competing against will all have beautiful professional photos. In NYC, the largest real estate broker association is REBNY (Real Estate Board of New York). They operate an inter-broker database similar to the MLS (Multiple Listing Service) in other regions of the US. 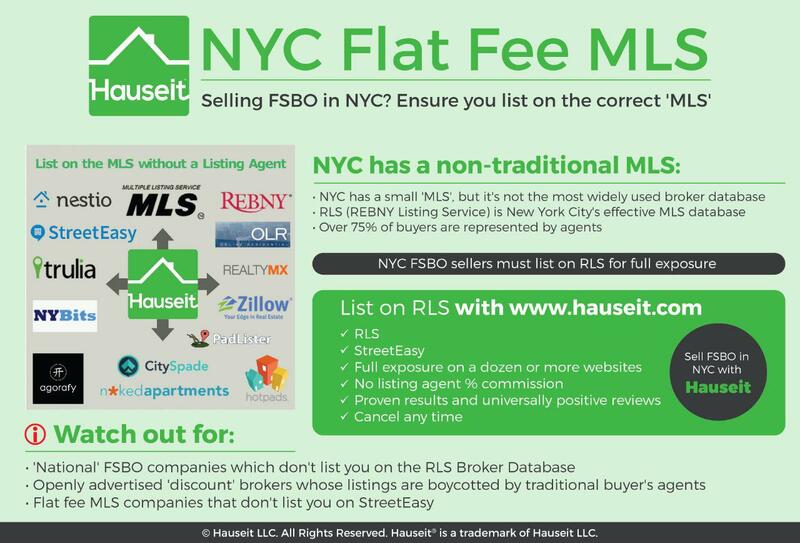 This NYC broker database is called RLS (REBNY Listing Service) and is widely used by most brokerages in Manhattan, Brooklyn and even Queens. While it is true that there is a separate Brooklyn MLS just like there is a Manhattan MLS, most large NYC brokerage firms only subscribe to REBNY in order to keep their costs down. Moreover, the Manhattan MLS has failed to gain traction because most of the large brokerages in NYC have declined to sign up. All brokerages in NYC, even those that are Brooklyn MLS members, will syndicate their listings to StreetEasy and other popular real estate search websites in NYC. It’s very important to have your listing included in StreetEasy due to their current dominance of the online home search market in NYC.